In need of a landoll lowboy trailer equipment transportation service Naperville, Aurora, Chicagoland, Illinois or beyond? Looking for a company that you can count on? Our landoll lowboy trailers are ideal for transporting any type of construction equipment capable of moving under its own power. This equipment is usually called roll on, roll off, type of equipment in the landoll lowboy transport world. 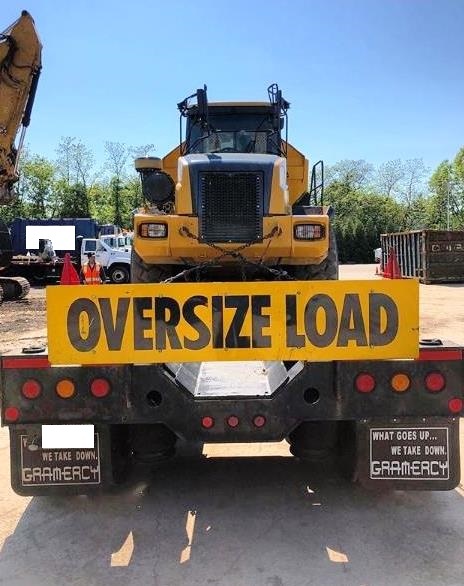 The low profile design of our landoll, lowboy, trailers, plus the many years of expertise under our belts make loading and unloading equipment as easy and as painless as it gets. With our cost effective prices included on every service, it just doesn’t get any better. Count on us for anything, anywhere, anytime, when it comes to your landoll lowboy equipment transportation needs we have you covered.